If your schedule is like mine it’s crazy. You’re personally joined at the hip to your cell phone. Work demands are well…too demanding. You feel (at times) you’re short-changing your family and friends. You know loving others is all that really matters. At this point you may be asking yourself, “Mike, what does this have to do with bathroom remodeling?” Well, homes can and should go beyond bricks, mortar, lumber and shingles. 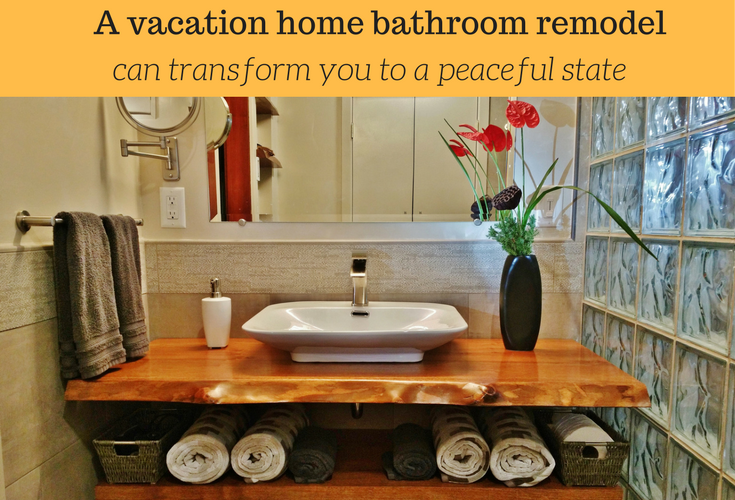 A home (or bathroom) properly designed and remodeled can become a transformative experience (yes – I know it’s a bit flowery, but I’m sticking with it). Homes can create a feeling of peace, tranquility and a connection to nature with the right design which can provide a temporary refuge from your craziness. 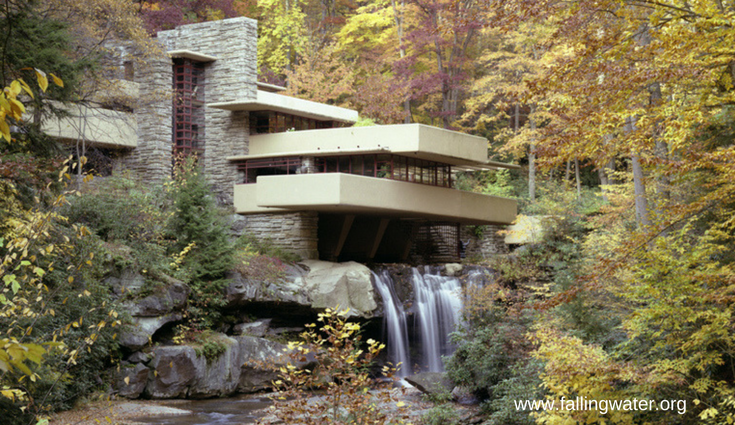 While any of us can experience this connection to nature in a home by touring an architectural masterpiece like Falling Water designed by the great (yet completely arrogant) Frank Lloyd Wright, we can’t stay in this very cool mid-century modern home with our friends and family (boy – I wish I could). Fortunately, if you want to escape the insanity of being a Soccer Mom/Dad or hard-charging much too busy city executive you can find places other than Falling Water to have this connection with nature or your family. One such place is at Sequoia Beach Dreamery (owned by Andrew Zarrillo). This vacation home rental is located next to the Austin Creek and surrounded by 600 year- old redwoods in the tiny town of Cazadero, located in the Russian River resort area of Sonoma Country, California. This unique Zen-inspired home is now even more special with a transformative bathroom remodeling project which connects the homes awe-inspiring exterior with a tranquil interior. 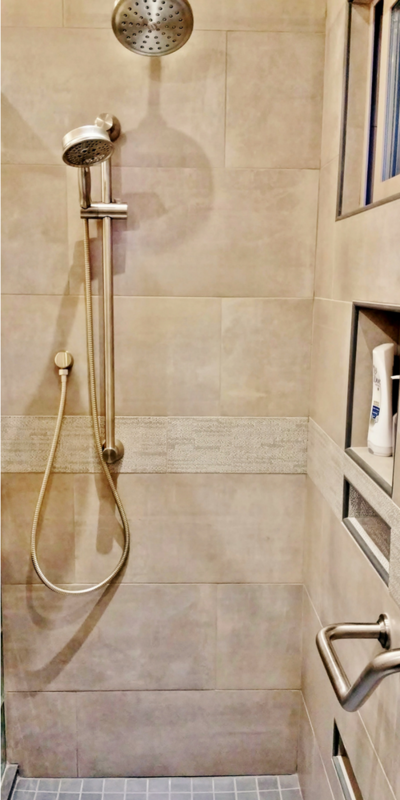 Join me on a journey and see how this home’s “wet areas” (bathroom, outdoor shower, hot tub and river) can help you disconnect from your “busy-ness” and reconnect with nature and those you love. What’s the theme of my bathroom remodel? How do I want to feel when entering and leaving this room? How can I inject my passions, my personality, into the space? As Andrew expressed to me that while the old bathroom was functional, it was also dated and had a small enclosed shower which wasn’t welcoming. 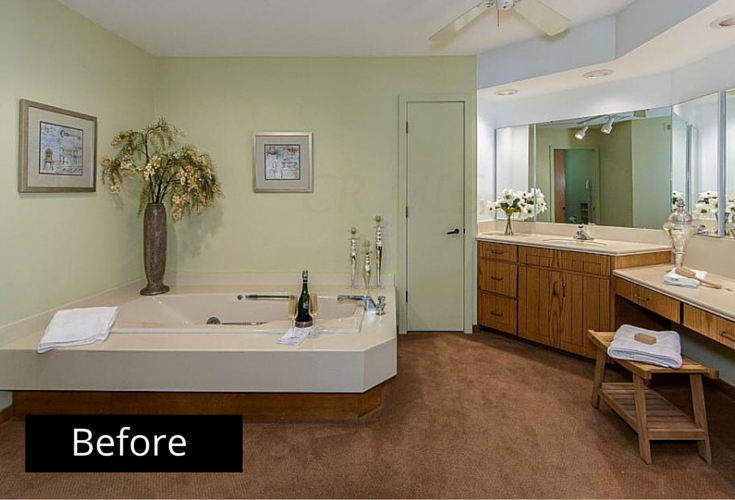 Based on the on-line review below I think Andrew has done a darn-good job achieving his goal of transforming this dated bathroom into an inspired and beautiful design. Let’s see how Andrew made his bathroom vision come alive. Here’s two things you can count on. First, bathroom styles can and do change. Second, the design and products in your bathroom will need to change to keep pace with how you’ll want to use the space. 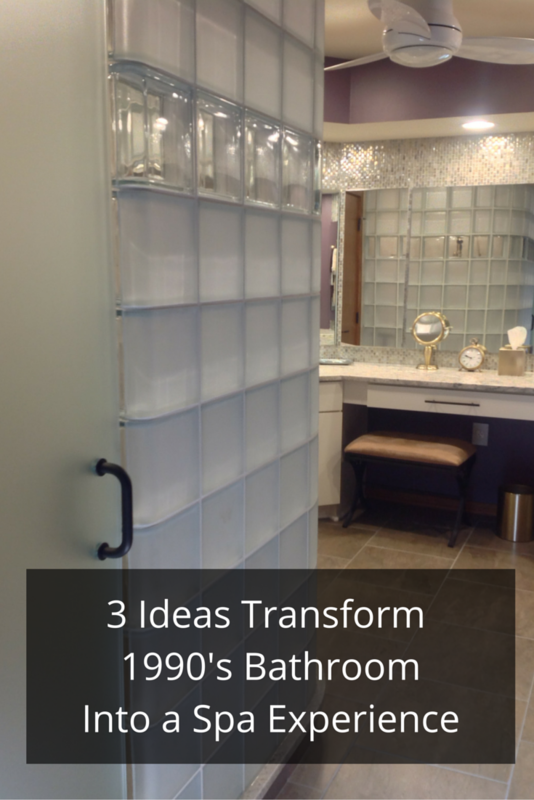 In the article below we’ll look at 3 ideas Marilyn, Cindy and Chris along with their builder Fred Ritchey of Ritchey Construction used to create a timeless, functional and spa-like master bathroom design. 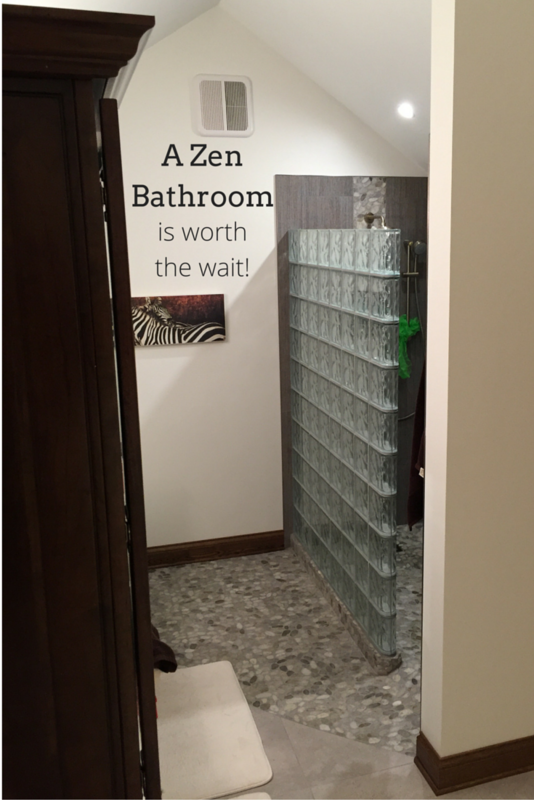 “I’m the cheapest guy on the planet,” said Jim Van Huis when I called to talk to him about the completion of his Zen minimalist bathroom in a suburban Chicago home. I would respectfully disagree with Jim about this statement given the high quality materials and finished look of his master bathroom. What Jim was talking about with his “cheap” comment is he and his wife don’t take on a remodeling project until they know they have the cash on hand to pay for it (I guess you can call him a debt minimalist!). So Jim and his wife Mary Kaye had to wait to do the renovation until the kids where grown and the finances allowed – but the wait was worth it! 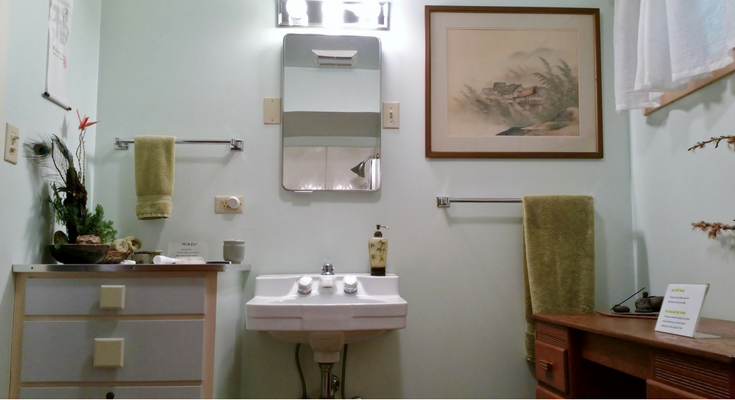 The goal with this bathroom was to create a peaceful place which embodied Jim and Mary Kaye’s sense of style, desire for simplicity and effective use of space. 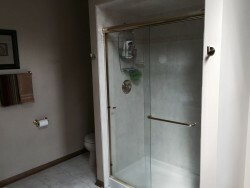 The old bathroom – while expansive in size – was a “generic spec builder special.” It had a standard (and cramped) 60” x 32” shower with a cheap gold gaudy framed shower door. In addition Formica countertops and run of the mill beige tile were the “stylish gifts’ of the production builder who cranked out their home 12 years ago. The question was what could be done to transform this non-distinct master bathroom into a tranquil, simplistic and attractive environment which could be as enjoyable as it was functional. 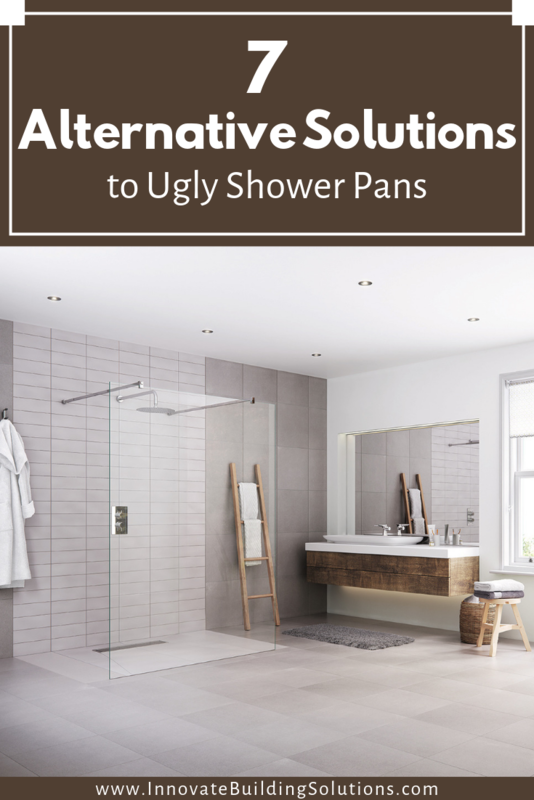 Let’s explore below 5 Zen design concepts Jim and Mary Kaye used in the evolution of their new bathroom design.